The truth behind roof stains, what they are, why they are there, and how they got there. Roof cleaning as an industry is very new. Bursting onto the scene in the late 1980’s and early 1990’s there have been as many methods for cleaning roofs as the organisms growing on top of them. Initially roof cleaning was a “garage art” at best. 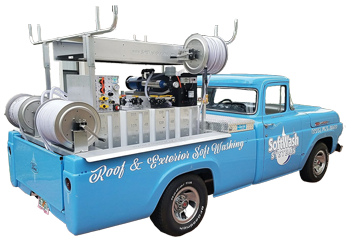 Primarily a phenomenon in the Southern United States, roof cleaning was thought of as a regional service with the hot spot in the state of Florida. Initially the focus of ridding the roof surface of ugly black streaks was a basic cleaning function. However, these black streaks are truly an infection of organic materials that are better addressed with algaecides such as you would address a fungal infection in your garden. To approach roof staining in this way was different than any other previously taken, and led to a revolution in the roof cleaning industry. Plus, many roofing surfaces are made with materials that can be metabolized by these microorganisms, such as shingles that now contain limestone that algae, mildew, and bacteria will absorb their nutrients and feed off the shingles. That same Cyanobacteria Gloeocapsa Magma found on roofs will grow on wood, concrete, siding, aluminum, and other surfaces as well. 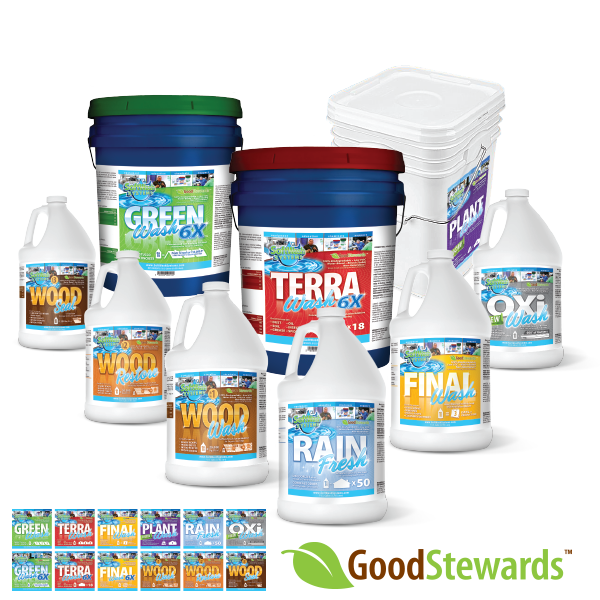 The good news is that through soft washing, these stains/microorganisms can be safely removed! In regards to other possible culprits inhabiting a roof, many nitrogen fixing blue-green algae will grow in areas with little to no nutrients. They are able to sustain themselves because nitrogen fixing organisms have the ability to create nutrients solely through the nodules on their filament root systems. That is why here at SoftWash Systems, we believe that treatment of a roof or surface is more beneficial to rid the source of the staining rather than just blasting away at the surface! Soft washing is more than roof cleaning. 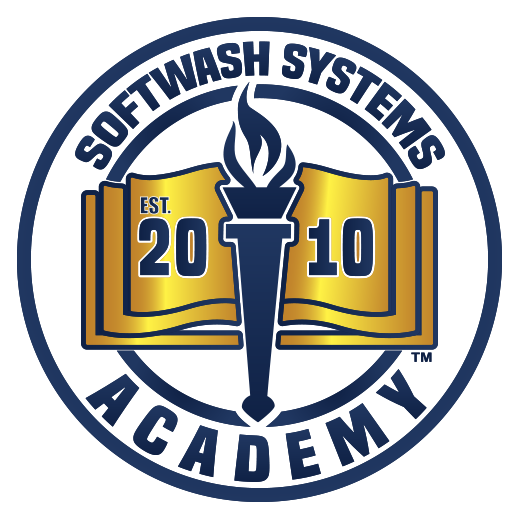 The products developed for SoftWash systems not only clean stains but also sanitize, penetrate, and eliminate the root of the issue. The main culprit of most roof staining that causes prevalent black streaks is a bacteria called Gloeocapsa Magma. Soft washing has the ability to kill the pest from the root up, achieving a truly clean surface. Such as plants, fungi and algae that are growing on a roof have root systems that can cause damage to shingles such as uplifting, spreading of shingles, and decomposition. Not to mention other forces are responsible for damaging a roof, such as erosion from nature or other forms of roof cleaning. In the photo you can see an Asian temple being overtaken by a tree. Due to the filament root system of fungi and algae, they are growing on and digging into your roof much like this tree. The roots open up tiny cracks in the shingles, tiles or other roofing materials. Many of these organisms growing on roofing surfaces do much of the same thing. They spread the shingle like a fan. Because the shingle is attached on the back, the front ends of the shingle flare and roll. This is because the shingle is widened the front more so than the back. These microorganisms, such as fungi and algae, will break down a surface and cause decomposition. This in turn, will also aid the process of erosion caused by running water either from nature. A massive example of the power of erosion is the Grand Canyon. Water can be a true force of erosion in nature. 1. Shingles break down from decomposition caused by algae and fungal filament root systems. In the picture to the left, you can see how the shingles have cracks in them, thus curling and swelling. 2. Shingles break down because algae and fungi have a hunger for limestone fillers. Limestone, which contains phosphates, is an excellent source of nutrients for algae and fungi. 3. Shingles break down from the waste created by the algae and fungi metabolizing the limestone fillers. This waste is acidic and damages the shingles. 4. Shingles break down because of excess heat caused from the darkening of the shingles. The darker the shingles get from algae streaking, the more heat they absorb. This excess heat dries the shingles and ages the petroleum in them.